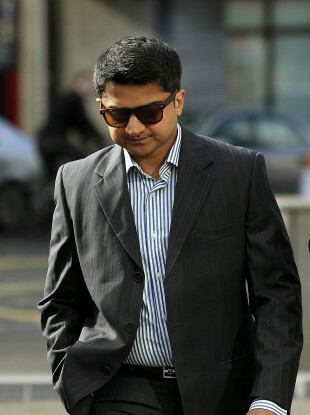 Mr Halappanavar said he has a responsibility to Savita and her family “to get to the bottom of the truth”. THE HUSBAND OF Savita Halappanavar has said he will continue in his pursuit of the truth as to how and why his wife died. Following the inquest into the 31-year-old’s death, Praveen Halappanavar said he has a responsibility to Savita and her family “to get to the bottom of the truth”. Speaking outside Galway County Hall, he recalled a conversation with Savita’s father who told him that someone must take responsibility for a patient in a hospital. “The care she received was in no way different to staying home,” he told reporters. “So medicine is all about preventing the natural history of the disease and improving patient’s life and health and look what they did. She was just left there to die. We were always kept in the dark. If Savita would [have] known her life was at risk, she would have jumped off the bed to seek another hospital. We were never told about it. It is horrendous, it is barbaric and inhumane the way Savita was treated in that hospital. Mr Halappanavar said there were still questions to be answered as to why Savita died. “I am optimistic and hope for the best,” he added. Addressing questions about further legal proceedings, he said he would “sit back and consider” but indicated that he would look at taking additional actions. Savita Halappanavar died on 28 October of septic shock, E.coli in the bloodstream and a miscarriage at 17 weeks. The inquest today found that there was medical misadventure relating to the management of her treatment. The jury’s verdict was unanimous. It also strongly endorsed the coroner’s nine recommendations, including a recommendation to the Medical Council to “lay out exactly when a doctor can intervene to save the life of the mother in similar circumstances, which will remove doubt and fear from the doctor and also reassure the public”. The coroner and the legal team for Galway University Hospital clarified that the medical misadventure is not cause of death nor a contributory cause of death. “The verdict of misadventure does not mean that system failure or deficiencies contributed to her death,” explained Dr Ciarán McLoughlin. Tony Canavan, spokesperson for the hospital group, expressed his sympathies to Praveen and his family, noting that the nine recommendations of the inquest would be taken on board at the hospital. He said it has been “difficult” for the staff and hospital to be in the spotlight but said public accountability helps provide a better environment for patients. He wanted to reassure the public that a range of improvements had already been implemented at the hospital, including early warning systems about sepsis shock and improved communications. Speaking after the hearing, Mr Halappanavar’s solicitor Gerard O’Donnell said “in his opinion, Savita Halappanavar had been deprived of her constitutional right to life, her right to be treated in a hospital”. “There has been a significant breach of human rights,” he added. He described “an extremely worrying” situation for women in Ireland who “must wait until they are gravely ill” before there can be intervention. He urged the government to review the coroner’s recommendations as a matter of urgency “to ensure this doesn’t happen again”. Over the past two weeks, the inquest heard from 36 witnesses, including hospital staff, medical experts and Praveen Halappanavar himself. Evidence indicated that had a termination been provided to expedite the miscarriage, Savita Halappanavar would probably be alive today. Email “Praveen Halappanavar: ‘Savita’s treatment was horrendous, barbaric and inhumane’”. Feedback on “Praveen Halappanavar: ‘Savita’s treatment was horrendous, barbaric and inhumane’”.